Model: PP08L OS: Windows XP (Installed and working very well) Battery: Tested (Still work, you can see the pictures it is not plug in ) HDD: 32 GB RAM: 512 MB. Dell inspiron 5150. It is fully functional. Hard Drive 1 : 500GB HDD. No previous user data is present. We do not support export outside the United States. No exceptions. We are not here on weekends. Windows Release : Windows 10. Computer has been professionally refurbished and is ready for a new owner. Processor: Intel Core i3 5th Gen.
DELL Inspiron 1100 1150 5100 5150 5160. 1 x Hard Drive Caddy. We will do our best and help you provide the solution. Output: 19.5V~6.7A, 130W. Dell Inspiron Notebooks: 5150, 5160, 9300. LED power-on indicator. 1 x AC Adapter. Dell Latitude E5420 E5520 Notebook. Dell Latitude E5400 E6400 E6400 ATG E6500. Power Cable Type: US Standard, 3 Pins. Part Number: W0938. Fits model(s):Inspiron 5150. Replace your faulty motherboard with a GENUINE ORIGINAL OEM motherboard. 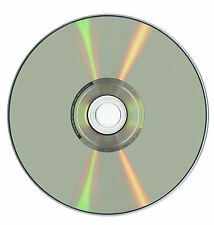 This disc is only for use with Windows XP 32 bit. This disk will not work on any other versions of Windows. This disk is not a Windows install disk so IT WILL NOT reinstall Windows on your computer. You can read and write Dual Layer CD, DVD with this all-in-1 Drive. Dell INSPIRON 1100 5100 5150 5160 8X DVD /-RW DL Burner. Inspiron 1100. Inspiron 1150. Inspiron 5100. Inspiron 5150. Inspiron 5160. Screws are included, 4 for the hard drive and 2 for the caddy to screw into the computer. Includes: Wifi and hard drive cables, speakers. Only get what is a pictured, no other accessory. We take them apart and try to help out others looking for hard to find parts. Output: 19.5V 4.62A 90W. Inspiron 1501. Inspiron 1090 (DUO). Inspiron 1120. Inspiron 1150. Inspiron 11z (1110). Inspiron 1200. Inspiron 13 (1318). Dell Inspiron 5150 Bottom Case D3024.